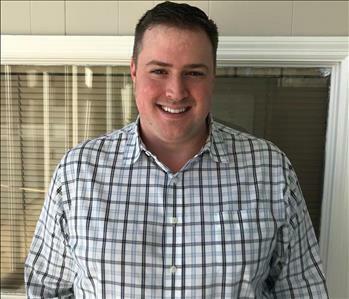 Anthony Roberts, Co- Owner of SERVPRO of Pulaski & Laurel Counties got his start with SERVPRO while in college as a Service Marketing Representative. He immediately felt a passion for the industry, and talked his Bride-To-Be into moving to London to start their own franchise in 2005. Together with his wife, he enjoys nurturing a culture for compassion towards their customers in their time of need. In his free time, he likes to cheer on the Kentucky Wildcats, and spend time at the lake with his wife and two sons. Tony holds several important certifications including IICRC Applied Structural Drying and IICRC Commercial Drying Specialist. 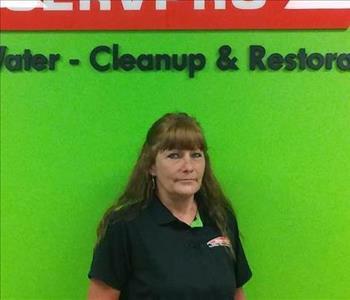 Julie Roberts, Co-Owner of SERVPRO of Pulaski and Laurel Counties began her SERVPRO career with her husband, Tony, in 2005. Originally from Nicholasville, Kentucky, Julie has both her Bachelor of Marketing and Master of Business Administration from the University of Kentucky. Now residing in Richmond, Kentucky, Julie likes to spend her weekends with her husband and two sons out on the lake. She also tries to sneak in a horseback ride or two when she can! Julie had no clue SERVPRO even existed when her husband brought the opportunity to her, and now she said she can’t imagine doing anything else. While she jokes that in this business “everyday is a surprise” she loves being able to help people in their time of need, and work with her employees to create a place of employment that is not only fun, but also helps contribute to the community in which they are placed. Travis Spurlock is a Production Manager at SERVPRO of Pulaski & Laurel Counties. He has been employed with SERVPRO for four years. Travis has the following certifications: Employee Training Certification Program: Crew Training, Fire, Water, Carpet & Upholstery. He is also IICRC Certified in Water and DryBook. Travis’ favorite part of his job is taking on difficult jobs and making the customer happy. In his free time, Travis enjoys; golfing, woodworking, hiking and kayaking. Kenneth Davis is the Soft Contents Division Manager, specializing in the cleaning of soft contents, at SERVPRO of Pulaski & Laurel Counties. He has been employed with SERVPRO for about three years. Kenneth holds a certification in Crew Training and is a Certified Esporta Operator. Kenneth’s favorite part of his job is being able to meet new people and more importantly making them happy! Kenneth also likes to take pride in what he does and the services SERVPRO offers. In his free time, Kenneth fishing, sports and collecting knives. Jerry Taylor is a Production Technician, specializing in fire and water damage restoration, at SERVPRO of Pulaski & Laurel Counties. He has been employed with SERVPRO for eleven years. Jerry has completed the voluntary Employee Certification Training that specializes in Crew Training, Fire Restoration, Water Restoration and Carpet & Upholstery Cleaning. Jerry also holds a certification from the Institute of Inspection Cleaning and Restoration in water damage restoration (WRT). Jerry’s favorite part of his job is being able to take care of our customers in their time of need. In his free time, Jerry enjoys cooking specifically grilling. Kelsey White is the Marketing Coordinator for SERVPRO of Pulaski & Laurel Counties. 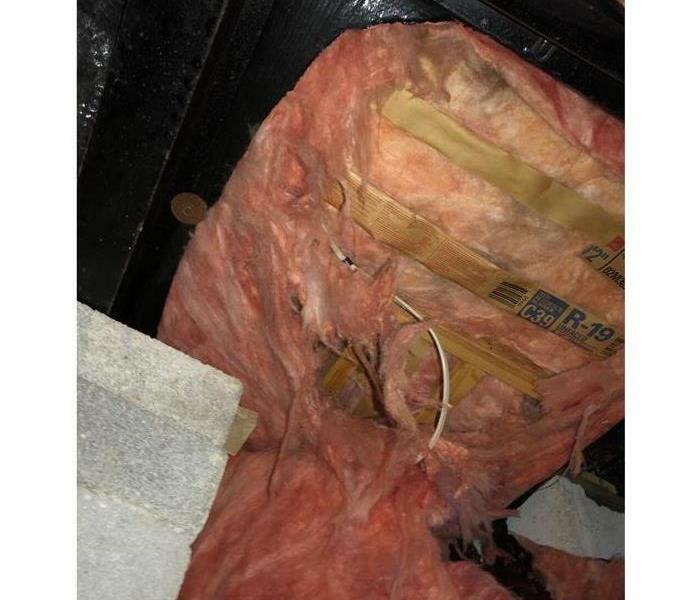 She has been with SERVPRO for two years. Her favorite part of her job is "working within her community to help make peoples lives a little easier when disaster strikes." She has the following certifications: Employee Training Certification Program: Crew, Water, Fire, Carpet & Upholstery. Kelsey was born and raised in Richmond, KY. She enjoys reading, hiking, and going out on the boat! She loves swimming, and if she had it her way it'd be summer year 'round in Kentucky! 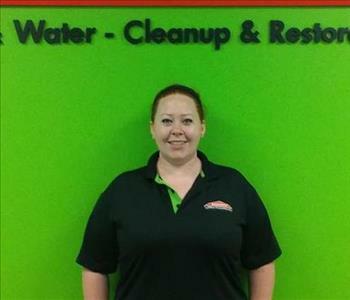 Kimberly Adams is a Production Technician at SERVPRO® of Pulaski & Laurel Counties. 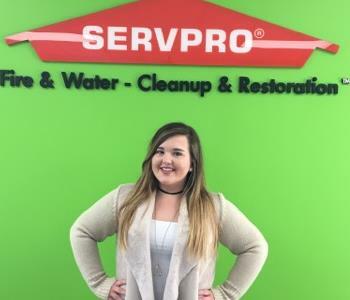 Employed with SERVPRO for over a year and a half --Kimberly is originally from Hamilton, OH but now resides in London, KY. Her favorite part about her job is "helping fix people's lives after they have experienced a loss." In her spare time, she enjoys reading and cooking! Robin Dowdy is a Production Technician for SERVPRO® of Pulaski and Laurel Counties. Robin has been employed with SERVPRO for six months. She is from Louisville, but now lives in London, KY. Robin's favorite part about her job is "helping customers in their time of need." Robin enjoys sewing, cooking, boating, and fishing in her spare time! 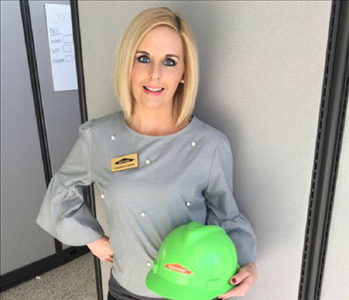 Candace Melton-Collett is the Service Marketing Representative for SERVPRO® of Pulaski & Laurel Counties. She has worked for us for over one year now. She is originally from Hyden, KY but now resides in London with her husband and 3 children. She has a Bachelor's in Political Science with two years of Law School under her belt. She is also a former High School English Teacher. Her favorite part of her job is meeting new people and building relationships. In her spare time, she enjoys spending time with her family, shopping, and being on her family's farm. Zach Shumate is a Production Technician for SERVPRO® of Pulaski and Laurel Counties. Zach has been with us for several months. 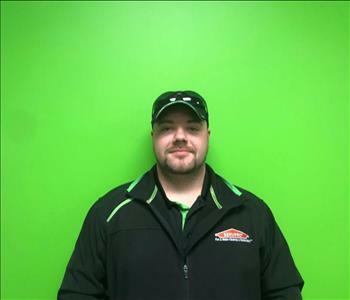 He received certification for collision repair before his time at SERVPRO, but now he has is beginning certifications through SERVPRO for mitigation specialist. The best part of his job, he says, is learning how to do water damage, demo, and meeting new people. In his spare time, Zach loves to fish, hunt, hike, and ride dirt bikes. Carter Rowland is the Reconstruction Manager for SERVPRO® of Pulaski & Laurel Counties. Carter has just started his beginning at SERVPRO, but he is not new to the construction world. Carter has been in the reconstruction business for over ten years. Carter grew up in West Liberty but now lives in Morgan County. He has a degree in Construction Management and an associates in architecture. Carter's favorite part of reconstruction is "completing projects and seeing them come to life in the end." In his free time, he enjoys tennis, cooking, video games, and traveling. We are lucky to have Carter on the green team!